It’s 2-0 to Liberty. Is this going to be Marks and Spencer’s week? Day fifteen – ESPA Optimal Skin Pro Cleanser. I was not impressed with this cleanser in the Liberty 2014 calendar. I’ll be giving this away. Boo. Day sixteen – Kiehl’s Amino Acid Shampoo. This one I am pleased with. I do love me some shampoo, and as you might be able to tell, my bottle is already half empty. It’s a great product. 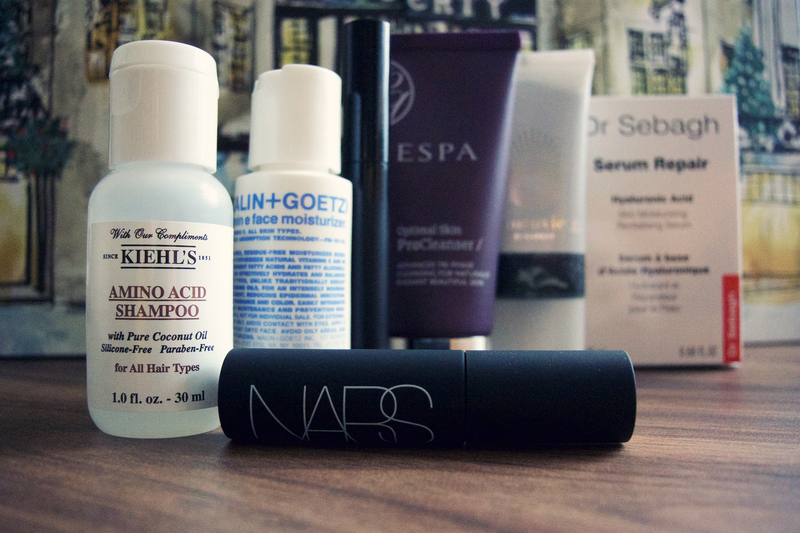 Day seventeen – NARS Audacious Mascara. Why would you have two mascaras in one box? One for each eye? Day eighteen – Malin+Goetz vitamin E moisturiser. Woo! I love this brand, and am excited to try this out. Day nineteen – Omorovicza Facial Polisher. A lovely exfoliator/mask, but the very first time I used this, I got a piece of grit in my eye and it hurt like hell. It still hurts. I mean, obviously you’re not supposed to get it on your eyes but holy crapola. Day twenty – Dr Sebagh Serum Repair. I was really excited about this last year, and it’s an amazing product to have in the calendar, but I used it extensively and didn’t really see any difference. I don’t think I’m the right customer for this product. Day twenty-one – Surratt Lipslique. I’m sure this is lovely, but I don’t wear lipstick. Day sixteen – Rodial Dragon’s Blood Sculpting Gel. So I scoffed at this when I opened it, but it’s actually really good. And it smells amazing. I have high hopes for this one. Day seventeen – Swell Ultimate Volume Masque. This made my hair feel horrible. I don’t know if I used it wrong or something, but my hair ended up feeling dirty and lank. Meh. Day eighteen – Crabtree & Evelyn La Source Soap. Honestly, I forgot I had this until I was writing this post. It’s a soap. Day nineteen – M&S Ultimate Shine lip colour. This is really good! I was very pleasantly surprised – very glittery. I will definitely be using this up and investigating the other colours. Day twenty – L’Occitane Verveine shower gel. Yeah! Love a bit of L’Occitane. 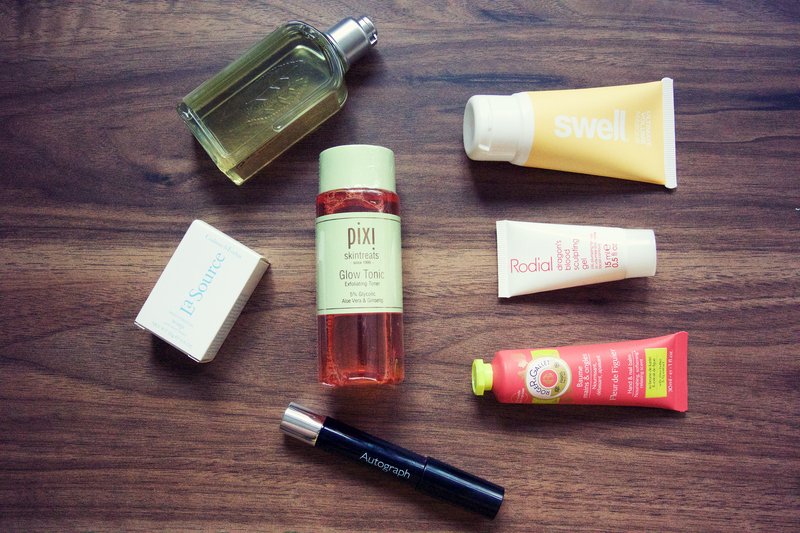 Day twenty-one – Pixi Glow Tonic. Oh hello M&S! Bringing out the big guns! Nicely done – this is a lovely sized sample as well so I’ll be taking this on holiday with me.